Without a way to connect my iPod to the rental car’s radio, I was forced to listen to the local radio. I tuned the radio to a classic 80s station. Wave Babies by Honeymoon Suite came on the radio as I made the turn off from the Queen Elizabeth Way (Niagara bound) to North Shore Boulevard. If I hadn’t caught a glimpse of my receding hairline and grey-haired temples in the rear-view mirror, I could have sworn it was 1988 again, my teenaged years spent in this same town, driving these same streets and listening to this same music. I flew back to Canada to visit with my family, and take care of some personal business. 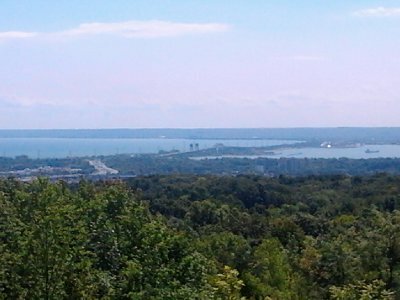 I stayed in the town where I grew up, Burlington, which is about one hour outside of central Toronto. Despite only having left Canada 4 years ago and having been back a few times since, I hadn’t spent much time in Burlington since I moved away 15 years ago (originally to Toronto, and then to London). I had spent a few days, and the occasional overnight, but mostly had focused my Canada life on Toronto. 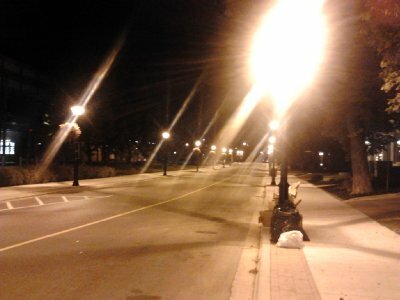 On this trip I spent 7 days and nights in Burlington, the longest I had been there in a very long time. It was all so familiar, but at the same time, very different. I ended up feeling like a tourist in the town I grew up in. A stranger in a familiar land. It was partially the physical changes to the town - new buildings erected, old buildings torn down, new roads build. The constant turning of a corner and being surprised by what was there. That was only a small part, though. When I lived in Burlington, I knew a lot of people. This was, of course, because when you are a teenager you know so many people in your local area. Everyone in your school and the place you work are likely from the area, so you have a wide social circle. Now, though, I knew no one. In seven days, I didn’t see a single person I knew by chance. Even though I walked through the malls and the parks and ate in the restaurants of the town, I didn’t happen upon a single person who I knew without pre-arranging a meeting. Mostly, though, the feeling was driven by the changes in the life of myself and my family. When I last lived here, my parents were both alive and lived in a house on a leafy street. 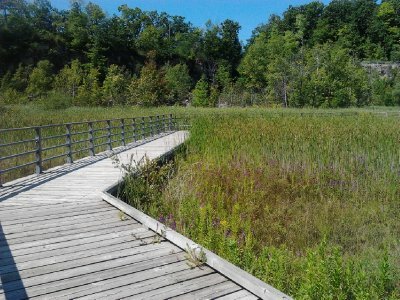 I returned to a place where I have just a single parent, and he is going through the process of moving from his modern, waterfront condominium to a care home. My family is in the process of moving from having parents as caregivers to giving care to our parent. When I say I was a stranger in a familiar land, there is a double meaning. Not just familiar because I knew Burlington from my past, but also familiar in the sense "of my family." I am in the place where my family lives, but much changed since I lived here. New places, new configurations, new structures. Physical, emotional and mental. All change. Same place, but different. I am local, and I am the foreigner. “You could not step twice into the same river; for other waters are ever flowing on to you.” - Heraclitus of Ephesus, c. 535 – c. 475 BCE. 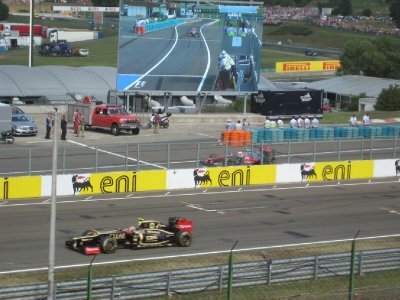 View Hungarian Grand Prix 2012 on GregW's travel map. 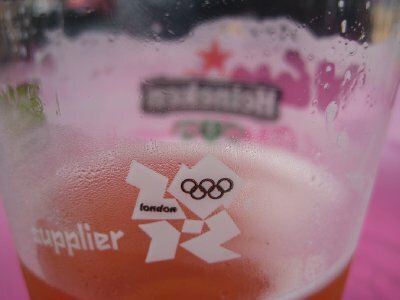 I was not looking forward to the Olympics coming to London. 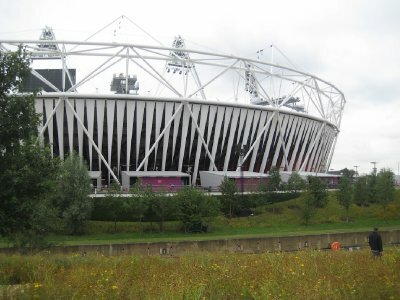 I wasn’t in London when they won the right to host the 2012 Olympic games. 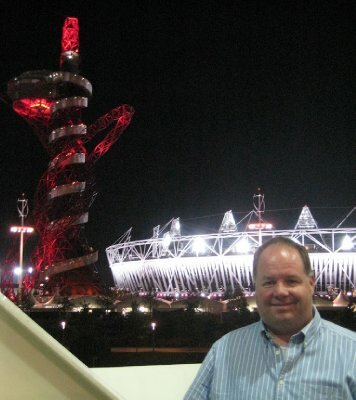 I lived through two bids by Toronto, both that failed, to host the games (in 1996 and 2008). I was happy when Toronto lost. I frankly thought that the city would be overwhelmed by the visitors, and the benefits would be minimal. As the games approached here in London, I expected the same. I assumed that a crowded, smoggy city whose transport system was bursting at the seems would become even more crowded, smoggy and we would see a transportation system fall apart. Then something happened, about two weeks before the games started. I started to get excited. I was still pretty sceptical we could pull it off, but I decided if I was going to be inconvenienced by the whole thing, I should might as well get some benefit. So I booked a few events, figuring I would have nothing but problems getting there, but at least I should try. Then the games started, and it all changed. I became a fan. I became an advocate. I started talking up the games to my friends and coworkers who weeks before had been of the same sceptical and cynical mindset of me, but it was for nought, because they had already come around to be fans themselves. Soon it became apparent that the entire city, and the entire country had become fans. All the cynicism in the press disappeared, and all everyone talked about was the joy of hosting the game. It wasn’t without its issues. 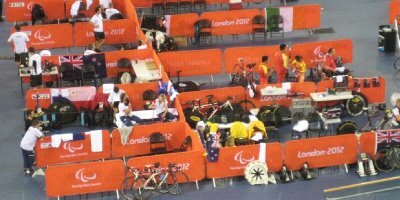 Sometimes the seats were empty, corporate sponsors deciding not to come to the early events. 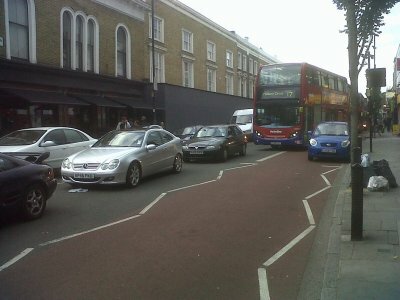 The transportation system failed at times, but we in London are use to that, and got around it as we do. Athletes were caught cheating with drugs, and sent home. Athletes decided to not try in some events, and were reprimanded. 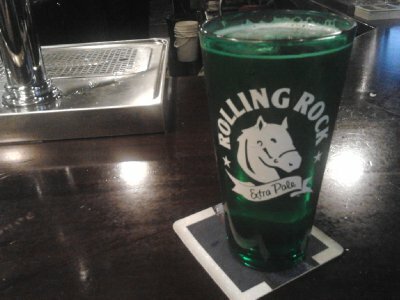 Overall, the negatives were far, far outweighed by the positives. Crowds gathered to cheer on Team GB. Usain Bolt wowed the crowds 3 times. 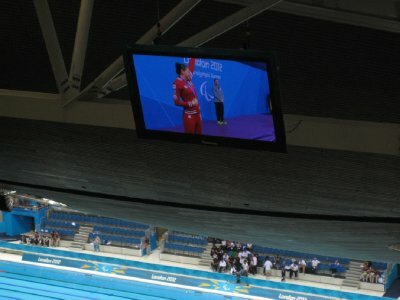 Michael Phelps became the most decorated Olympic athlete of all time. I was about to write that London embraced the world, but frankly that is the best thing about London - it is a city that welcomes all - Olympics or not. 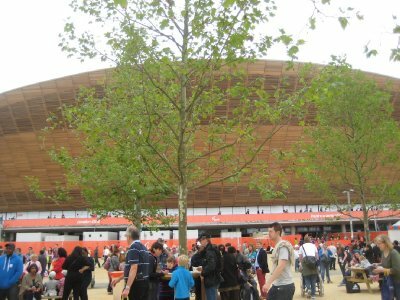 The Olympics is just London writ large. The world’s games, in the world’s city. 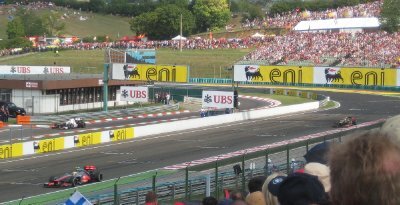 Prior to being swept into the Olympic fold, I had booked a trip to Hungary to see the Grand Prix. 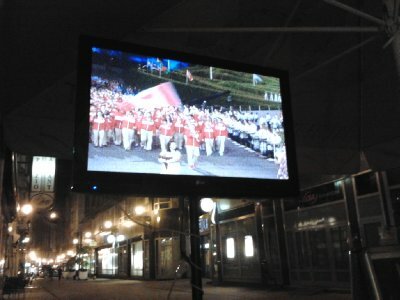 On the Friday night, though, now swept up into the Olympic fever, I went out to an Irish pub in Hungary and watched the opening ceremony. It was crazy and strange but awesome, and pulled me into the games. 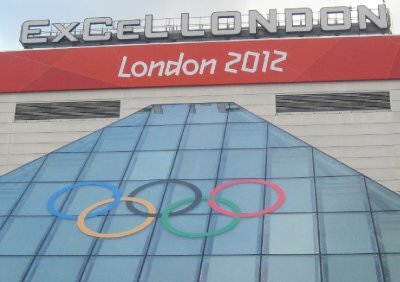 The first event I saw was the boxing at the ExCeL centre in east London. 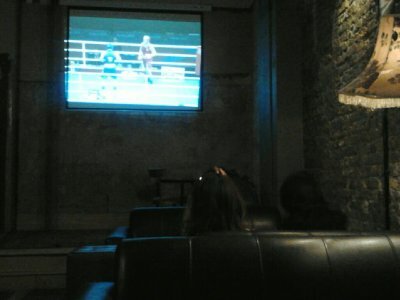 I saw bantam weight, heavy weight and super heavy weight boxing. 12 bouts in all, and probably one of the most impressive the games. We saw a Japanese boxer knock down his opponent five times and still lose (he won on appeal). We saw Iranian heavyweight Ali Mazaheri disqualified. We saw a fight were the opponent didn’t show up (did you know they call that a “walk over?”). 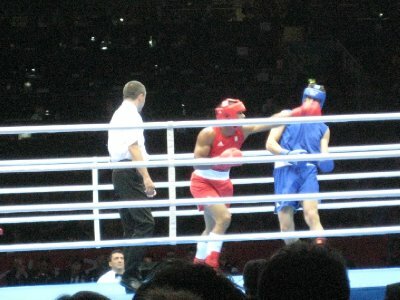 We saw two GB fighters win, and also a Canadian super heavyweight. 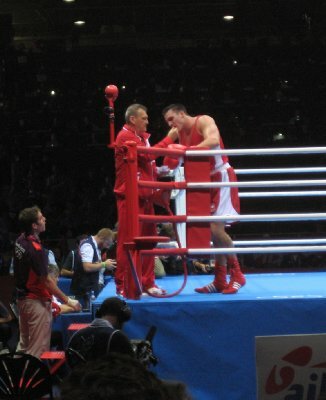 Canadian Simon Kean won on countback against Yoka of France. 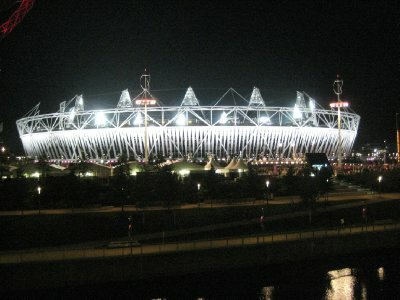 The last time London held the games, in 1948, the longest running event for women was the 200 metres. It was felt that they shouldn’t be made to run longer. 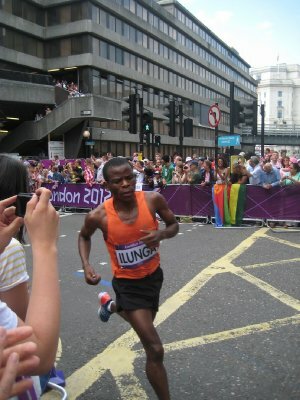 In 2012, Tiki Gelana of Ethiopia set an Olympic record in the marathon of 2:33:07. An important point about this games is about equality. 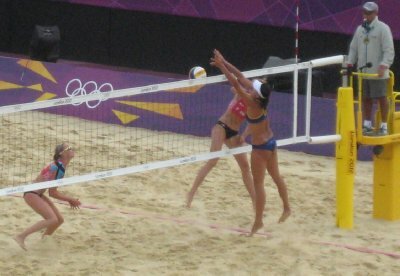 This is the first games where every country represented had both male and female athletes, and the first games where every sport had representatives of both genders. Most visibly, boxing for women. 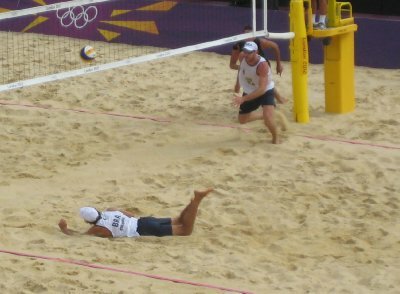 Next up, the Beach Volleyball. 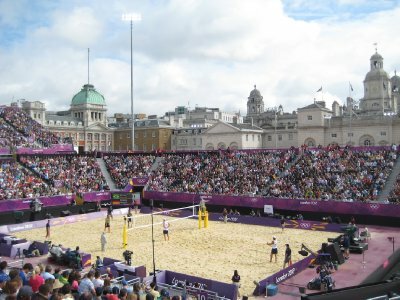 Hosted in the Horse Guards Parade, which has been the tournament and parade grounds dating back to the time of Henry VIII. 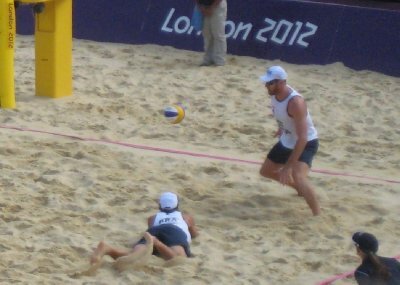 Unlike the jousting tournaments of old, this year it saw scantily clad women and men play volleyball on tons of imported sand. It was undeniably entertaining. As long as I didn’t think about what I had paid for the tickets (well too much for sitting 22 rows back), nor that I was seeing an Olympic sport. I know that the people playing were undeniably athletic, and no doubt the best in the world at what they do. 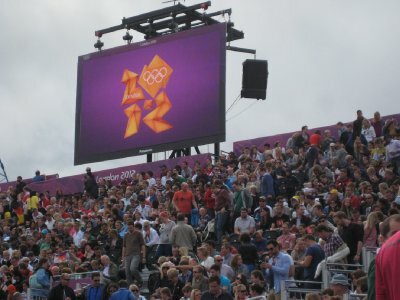 BT London Live was a pair of viewing sites within the Victoria and Hyde Parks in London. Good place to get together with others to watch the games. Of course, pubs were also high on the list of places to watch the games, with most pubs showing the games non-stop during the two weeks. 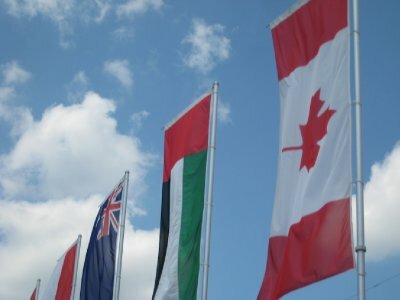 There were various places around the city where countries were hosting hospitality sites. Brazil was hosting in Somerset House, just beside my office. 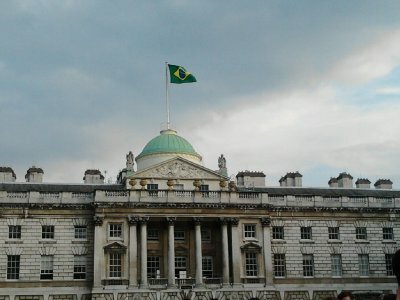 It featured a Brazilian flag flying above Somerset House and Brazilian music in the courtyard. Watching Olympic fencing. A bit like watching Tron. Two warriors in darkness, blue and red lights highlight the play space, electronic beeps announce points. 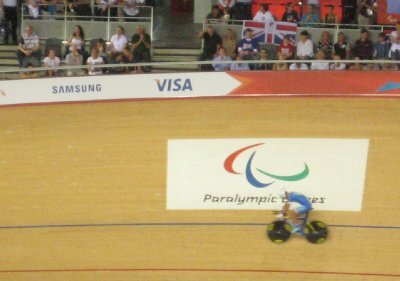 2016 - light cycles as an Olympic sport? Similar levels of athleticism, dexerity and showmanship. The only difference between parkour, Cirque du Soliel and men's Olympic gymnastics is uniform. Parkour wears hoodies and low rise jeans. Cirque dresses like clowns. Olympians dress in tight, tight, tight shorts and chest hugging vests. Think for the purposes of expanding their fan base, the Olympians should select a new uniform that is a little less YMCA. Have been watching the women's Judo on and off during the day on M1 ELO in Hungarian. Two things I have learnt. (1) Women in the 57kg weight class are generally quite foxy. (2) I know nothing about how Judo is scored, and the Hungarian commentary is not helping my understanding. Diving is a strange sport. 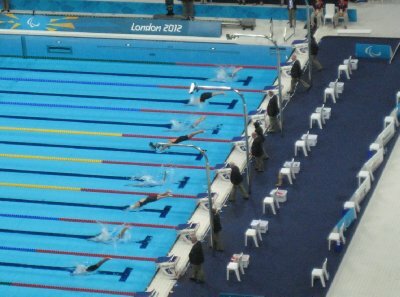 It is like the start of a swimming race, but without the swimming. It is solely about the start of an activity, the transition from not swimming and being on dry land to swimming and being in the water. I can't think of other sports like that. There is no sport for starting a running race, nor for bursting out of the gates in skiing. Who came up with this? Arrived at Heathrow terminal 1. No line for immigration. In fact, there were agents waiting. Through in less than a minute. 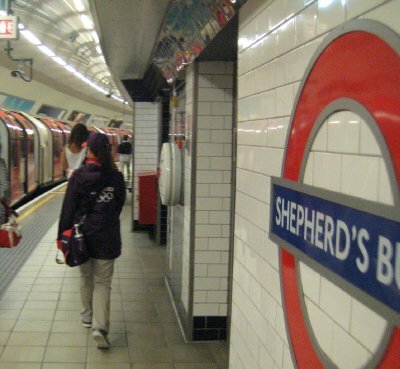 Why do people keep reporting, blogging and tweeting about how quiet the tube is? Keep your mouthes shut and let those of us still commuting have a decent journey for the next few weeks! Sharing a table at the bar before heading into the arena. My co-table inhabitant, while pouring pints of stout into empty water bottles (lines are long when you get in, he explained) asked me, "have you travelled far?" I replied, "Clapham." <pause> "it's two transfers." If I ran the Olympics, a javelin throw would not count unless the javelin stuck in the ground. Glancing off the ground and sliding along would not count. It's meant to be a weapon, and if you can't stick it into something, then it isn't a very good weapon. (I am told this is only allowable in the multi-event sports like heptathlon). Shouldn't Sharapova be playing for "The Independent Tennis Training Facilities of Florida?" SOOO upset with myself. 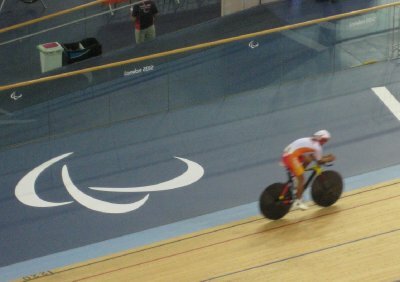 I had the opportunity two weeks ago to buy athletics tickets for the Paralympics. But I held off. 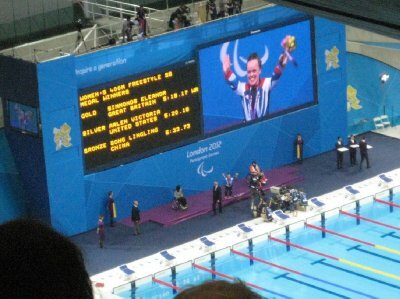 "it's not like the Paralympics is going to sell out, right?" I said to myself. And now, nothing available at all. 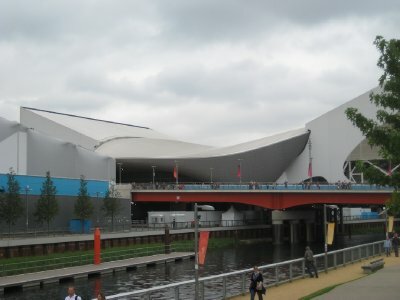 London has embraced this Olympics (now that it has started), and there is very little available to see at all. Just hoping that something comes up available in the next few weeks. (On the Canadian women’s football win, where Canada won Bronze over France, reported as Late Strike Seals Canada a Bronze). Good headline writing. 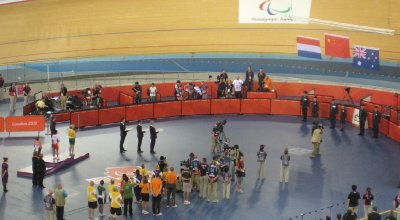 Canada "seals" a bronze. Get it? Seals! Ar ar ar. Ethiopian runner in the women's 5000 metres named Burka. Ironic a woman named burka should be showing so much skin. 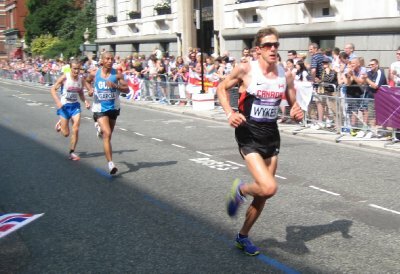 Team GB dropped the baton, but Canada qualified. Take a lesson from them. Coat the baton in the sticky internal goo of clubbed baby seals, makes the passes flawless. Yanquis just set a world record in the 4x100 women's final. Erased a record held by East German "women." The last record in the books held by East Germany. This is truly the end of communism. Women's 1500. Turkey 1-2. Cakir followed by Bulut. Number 2 with a bullet, then? Modern Pentathlon. Awesome. Here's a sword. Now here's a gun, run with it. Now here's a horse. Swim! Random goodness. Amazing relay! WR for Jamaica. Bronze for Canada. Yes! - Followed closely by - NOOOO! A DQ!?! devastated - followed by - Oh no. one of the Canadians stepped on the line, and thus was out of his lane. Such a shame. Rhythmic Gymnastics, solo and team, has impressed me. Generally (admitting to a bit of perviness), I watch women's gymnastics and think about the general prettiness of the women. Rhythmic Gymnastics, I am (like a house cat or gold fish) enthralled by the movement of the ribbons, balls and hula-hoops. I don't even notice until the end that there are actual people involved in throwing around the ribbons. 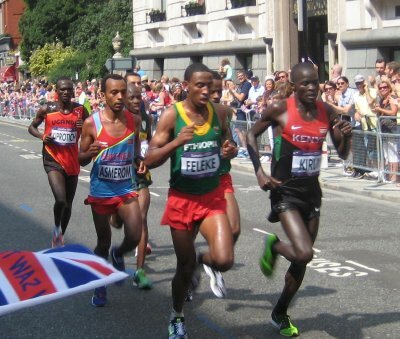 Last day of the games, and the last free event - the men’s marathon. 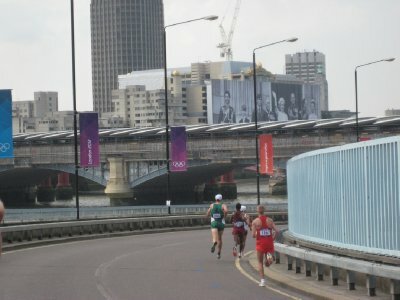 I went to Blackfriars Station, and watched the marathoners pass 6 times - as they ran 3 loops of the marathon route. 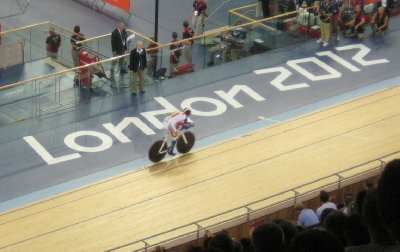 It was amazing how close you could get to the athletes. The first time they came around, I actually jumped back as they came around the corner and I realised they were just a foot from me. Amazing. It has been a great time. The volunteers were amazing. The Londoners were amazing. The visitors were great. I hope everyone had a great time in the city. 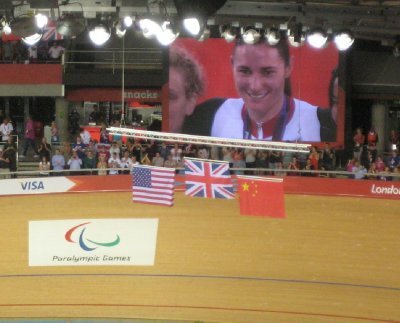 A final Facebook post repost form me - London 2012 has been an absolute joy. I was very sceptical before it started, but it has swept me up emotionally, been great to host the visitors and the volunteers here and has been no problem moving around. Well done, London. It has been an excellent games. 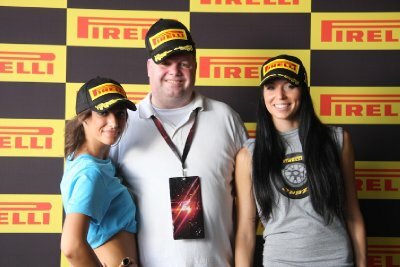 Last weekend of July saw me in Budapest for the Hungarian Grand Prix. The temperature was crazy. I landed on Friday, and the thermometer said it was 41C. It was hard not to start melting right away. I managed some site seeing on the Friday, and spent Saturday and Sunday at the track. There was the threat of rain all weekend, but we didn't see any until Sunday evening, long after the race had ended. So most of the weekend was spent in the heat and the sun. I had tickets for Friday, Saturday and Sunday, but because I only flew from London on the Friday, I missed the two practices and races on Friday. Saturday was the first day at the track. I got up early, and headed up to the Árpád híd metro stop, where buses left every 10 minutes or so for the track. The bus was free, and took about 30 to 45 minutes to get there. 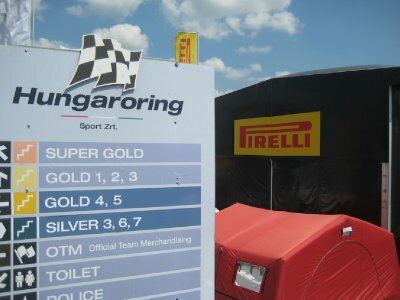 The Hungaroring is just outside the village of Mogyoród, Hungary. The bus dropped us in the village, and then there was a 10 to 15 minute walk to the track itself. You can bring food and drink into the track, so lots of people were lugging coolers and bags full of food, water and beer. 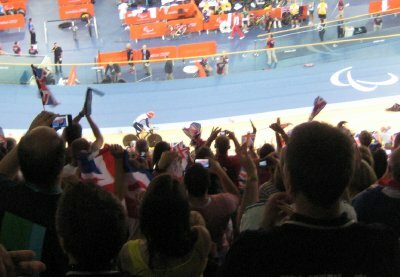 I was sitting in the Gold 2 section, along the main straight just by the finish line. 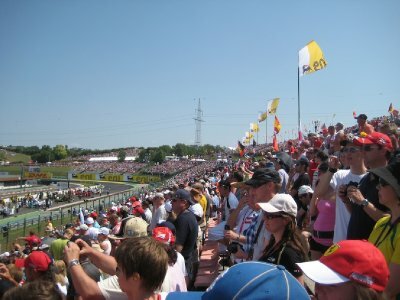 Saturday saw two sessions of Formula One, and races for Porsche, GP2 and GP3. First session for the F1 was free practice 3, and then later was the qualifying sessions. Qualifying in F1 is split into 3 short sessions. 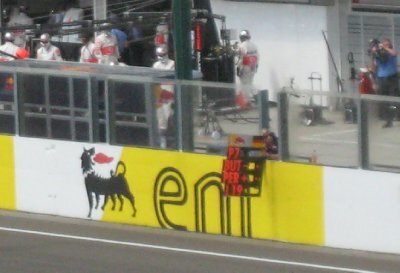 After each session, a group of the slowest cars are eliminated. In the end, my favourite driver Lewis Hamilton took pole position, meaning he got to start at the front of the pack for the race the next day. 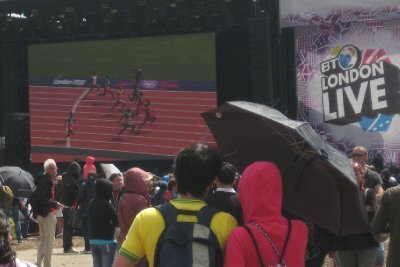 Good atmosphere at the track, and for those who didn't bring a picnic lunch (like me), there are lots of food options. While more expensive than similar food options in Budapest, it was certainly reasonably priced as compared to some of the other sporting venues I have been to, including other F1 tracks. Sunday was race day. 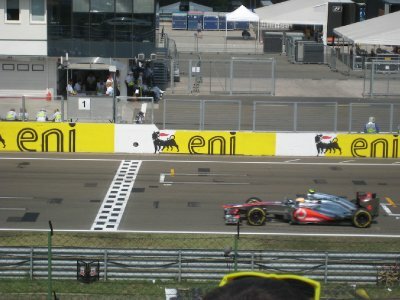 There were a few early races for the Porsche, GP2 and GP3 cars (including one of the cars coming sliding across the line scrapping the barriers after a last second crash), and then the F1 started. After an initial restart due to one of the drivers lining up in the wrong position, the race was underway. 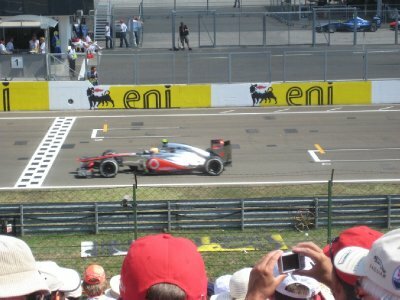 Lewis Hamilton was first pressed by Romain Grosjean and then by Kimi Raikkonen, but in the end was able to take the checkered flag. I've put together a video of my view of the race. About 8 minutes, if you are so interested. Headed back into Budapest by catching the bus. It was the same walk to get to the track in reverse, and after a full day in the sun, the 15 minute walk was making me a little faint. One of the girls who holds the flags of the drivers at the start of the race had fainted already in the heat, and arriving at the bus stop and seeing thousands of people waiting and slowly crushing together, I was concerned I might faint as well. Luckily, I kept on my feet, though I did see another fan faint. His friends decided that they would grab a taxi instead of a waiting for a bus, and wandered off. Trying to catch the bus was a nightmare. The crowds were thronged out onto the streets, and the buses kept having to stop well from the front of the line, where people would pile on. I eventually squeezed by way onto a bus, and made it back to Budapest. Sweaty, hot, rammed on public transit for 45 minutes after spending the day in the sun on hard plastic seats I was beat. "There has to be a better way to see these races," I said to myself. That evening, as I headed out to dinner after a lie down and a shower back at my hotel, I saw Bernie Eccelstone and Red Bull Racing boss Christian Horner coming out of the fancy lounge bar of my hotel, and getting into the back of a black, tinted windowed Mercedes. They pulled closed the door, and the car roared off into the rainy Budapest night with a low throaty growl. 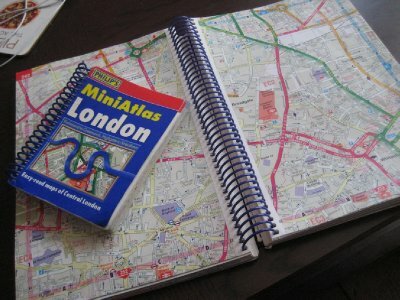 When I first arrived in London, I got lost. 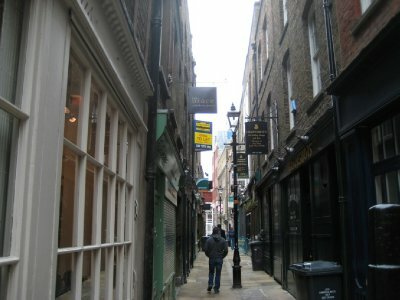 London's street layout has not changed much since the medieval era. They twist and turn, and there are many narrow little walkways and alleys to go down. I'd start out walking down a street, thinking I am heading east, and wind up heading off to the north, coming out somewhere completely unexpected. 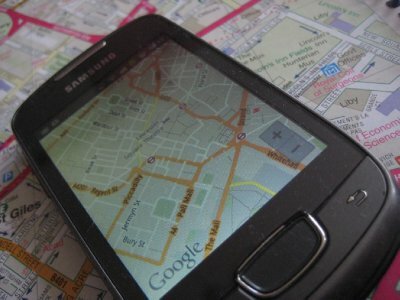 Now getting lost in a new city is good fun, but if you are trying to make a life there, and get to appointments like job interviews or medical appointments, trying to find your way through the new streets in the quickest and fastest way possible without getting lost becomes important. "I need a map," I said to myself. I went into a local shop and said I wanted a map of London. "Do you want a map, or an A to Z?" the clerk asked. I had no idea what he was taking about. "A map," I replied. "We only have A to Zs," he said. I shrugged and walked out. It was only later the same day when I was in another book store, looking up at the London section, that I realized what an A to Z was. The A to Z (or in its written form, AZ) is a street atlas, in a booklet form. Back home in Toronto, we would have just called it a map, but here it goes by the name AZ. AZ (that's A to Zed, my American friends) was a creation of the AZ map company, designed by Phyllis Pearsall. 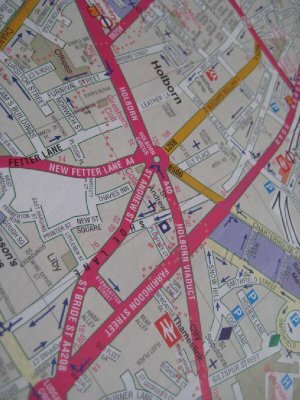 Back in the 1930s, Phyllis walked London street by street to create the first AZ, and named the map after the index at the back, an alphabetic list of every street in the capital. It, of course, seems completely and totally logical that something like this should exist, but back then it was a revolution. The AZ took off, so much so that the description "A to Z" has come to mean any booklet form map. I own two AZs, though they are actually Philip's Street Atlases. I have a pocket sized one that I could carry around with me when I was out on the streets, and a larger one that sits at home on a shelf to be consulted in the comfort of my abode. I used to carry the mini one around with me constantly, and would often consult it. Unlike in Toronto (whose streets are an understandable and easily navigated grid), where someone with a map out would be pegged as a tourist immediately, here in London the long time Londoner would take no shame in pulling out their AZ. All those windy streets, changing names every mile, with lots of little streets off them that run for only a few hundred yards. No one could really know it all (except the cab drivers, who must obtain "The Knowledge" (an understanding of where every street in London is) before being allowed behind the wheel of a black cab). The AZ is such an institution, it inspires its fans. James May is a fan, as is Ham over at the London Daily Photo. 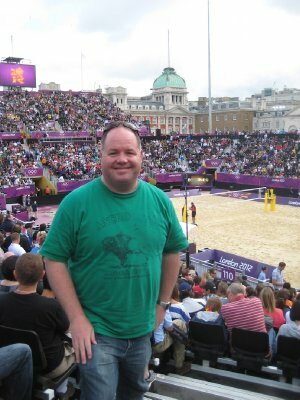 The iconic east London blogger, The Diamond Geezer, has a whole series of A to Z posts, looking at the museums in the capital. The physical AZ still does have a soft spot in my heart, even if it doesn't have a place in my pocket when I head out into the streets of London. Getting my first one, and pouring over it trying to learn my new city will always be a key part of my becoming a Londoner.